Whether your next live event involves a major corporate announcement, is a multi-day music festival, a brand activation or experiential marketing, everything about your investment in event Internet and WiFi infrastructure services must be trouble free from start to finish. Our depth of experience providing such services includes working directly with our customers and their multiple teams of stakeholders. This can include engaging with your marketing agency, IT teams, speakers and performers to distill your business and technical goals. We also liaise with local venue IT teams to ensure that required local services are properly delivered. Your next live event may entail a number of event Internet and WiFi requirements that you didn’t expect or plan for. Take corporate events, for example. They involve much more than simply picking up a few access points. Network design, onsite management, proactive monitoring, and reporting are also crucial components of running a successful live event network. For example, a recent corporate event for an innovative coffee company included a comprehensive network overlay to the venue’s incumbent network which required a significant amount of enterprise networking gear, careful planning with the local venue IT group and procurement of temporary fiber circuits with multiple carriers. 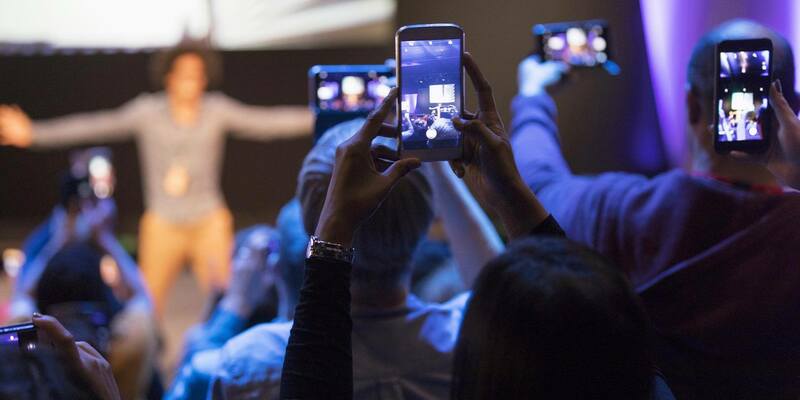 Regardless if you’re the IT team, production company or the marketing agency, there are several critical considerations to keep in mind when planning Internet and WiFi for your next live event to make sure it’s trouble free. Based on 25+ years of experience, we know what hidden warning signs to look out for in venue contracts. We also understand what limitations may be at stake when you find yourself pushed to use an incumbent venue IT service. The quality of service and support provided by the incumbent IT providers are typically not designed to meet your live event expectations where seconds matter. BSN can either replace the incumbent provider or overlay on their existing network for far less cost and with far better support. We’ll also manage the technology requirements between your company and the venue IT group which adds significant value and saves you time and money. Don’t let your venue try to convince you that their incumbent IT provider is your only choice. Thoroughly check the agreement to see if it contains any exclusivity language. And don’t be afraid to question any language that dictates that you must use their provider. If needed, you have every right to ask the venue to remove such language without penalty. Consider as well that venues tend to have a rigid, static network and resources that lack the ability to dynamically scale and deploy. They typically don’t have the infrastructure to handle the high-density needs of thousands or more of event attendees trying to access social media. It’s even more important to make sure you understand exactly what you’re asking for and what the venue’s providing. That’s why it’s so beneficial to rely on a company such as BSN which can provide you the right level of IT prowess. Also ask yourself, is what they’re providing align with your business and live event goals? Worse yet, don’t get caught being charged for services that you didn’t need. Additional unnecessary network drops, WiFi commitments, connectivity between different locations and more can quickly mount up. For example, unplanned requirements can pop out of nowhere. You’re then suddenly faced with additional charges once you’re already onsite and your event’s well underway. Should you decide to use your venue’s IT services, BSN can provide you the oversight to help you better navigate the technical landscape and related service agreements. We’ll also help direct the venue IT provider to ensure that your service is delivered the right way and on time. Always be prepared for the unexpected and ensure that you have responsive tech support on hand. Should something occur in the middle of your event, you certainly don’t want to be faced with contacting their call center to open a service ticket. Waiting an hour for response when you need your issue fixed in minutes or less is never a good thing. Even if you’ve been relying on the same managed IT partner for a while, consider obtaining a bid from BSN to find out what additional capabilities or expertise might be available. This will also help ensure that you’re receiving an honest price from your current service provider. Complex event Internet and WiFi take a considerable amount of planning and expertise. Eliminate your worries by fully knowing what you’re getting yourself into. BSN can help you navigate the entire process. Contact us today to learn more!